Описание: Предлагаем Вам скачать комплексный видеокурс американского английского языка. Автором является доктор Вильям Джекс - директор Нью-Йоркского института английского языка. Курс состоит из трех уровней, в каждом по три видеофильма. Видеокурс также отлично подойдет и взрослым и подросткам. Компьютерный видеокурс Learning English состоит из трех уровней сложности. Всего 9 дисков, к каждому идет книжка буклет с текстами и скриптами. Are your English skills standing in the way of your success? 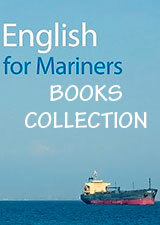 Here’s the way to improve your English that’s quick and easy - and really works! 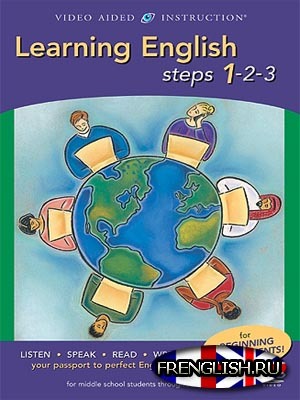 Designed for anyone who is new to the language, this comprehensive DVD set includes 83 developmental lessons and practice exercises in the basics of listening, speaking, reading, and writing in English. Combining colorful computer graphics and proven teaching methods, Learning English Steps 1-2-3 uses real world situations - like conversations in a restaurant, at the bank, at the airport, on the job and more - to help you learn the basics of English. In Step 1, you’ll start right off with the verb to be and learn to master: pronouns; contractions; questions and answers; time expressions; and more. Then, Step 2 covers: conjugating verbs in the various present, past, and future tenses; making commands and requests; and much more. Finally, Step 3 focuses on using English in the workplace: communication with your coworkers and supervisors; personnel issues; telephone fundamentals; job interviews; raises; promotions; and more. By the time you’re finished, you will have learned over 2,000 must-know vocabulary words and everyday idioms! In this one-of-a-kind program, your instructor, Dr. William Jex, Director of the American Language Institute at NYU, gives you a solid background in American English, so you can start using it right away - at home, at school, and at work. Now you can make English your language - let Video Aided Instruction show you how!